Yesterday I blew it. I saw a familiar looking woman in the grocery store who passed by me at least four times in different aisles, and did I say “hello” or acknowledge her? No. What would it have cost me to take the risk and attempt to start a conversation– a little of my time? perhaps a little embarrassment? Maybe the more important question is– what did it cost me to play it “safe” and keep quiet? You may remember my heart prayer for our recent trip to Europe– that I would have opportunities to meet real people in authentic, non-touristy situations. Well, God answered this request again and again. On planes and trains, in cafe’s, shops, and museums, I enjoyed several wonderful conversations with regular people about their daily lives– their hopes and their challenges. Though we often had to work to understand each other given the language barriers, I found people were genuinely appreciative of my efforts to get to know them. Whether talking about traditions with a gondolier whose father, grandfather, and great grandfather were also all gondoliers, or talking to a waitress about the economy and listening to her struggles finding work in her field, or talking to an octogenarian Parisian gentleman about how his city has changed, and what has remained the same– each one graciously shared their story with the interested American woman who really saw them and affirmed their experience. Starting the conversations was awkward for me, but as it turned out, these people wanted to be known as much as I wanted to know them! I’ve thought about this quite a bit ever since; why don’t we make this kind of effort with the people we come in contact with at home in our daily lives? What if this gift of listening to one another and validating each other is why we’re here? 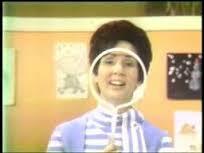 I know I’m dating myself here, but do you remember Romper Room? Each day Miss Nancy would look in her magic mirror and “see” all of the children watching this television show from home. “I see Billy, and Amy, and Susan, and Tommy…” Each day she would call out who she “saw” by name, and every day I’d watch to see if she saw me. We instinctively know the importance of validating babies–Think about it, when was the last time you saw a parent with a stroller who didn’t have at least one stranger making a fuss over the little one in an effort to get the baby to smile back at him or her? However, somewhere along the way as time marches on, we let our fellow human beings become invisible. Self-involved with our own problems, days… weeks… even months can go by (especially for the single person) without hearing a single encouraging word directed at them. And let’s be real: “Liking” someone’s status on FaceBook isn’t the same thing as offering love and support! It doesn’t take much to make someone feel invisible and unimportant. 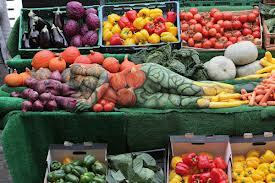 Ever talk on your cell phone while checking out at the grocery store? Ever discount or ignore the people who actually make your lattes, groom your dog, or have been waiting in line ahead of you at the DOL? There are plenty of “me first”, entitled people out there in our world today, but how many of you will choose to practice — “No, you first. I see you and you matter.”? Simple acts of listening to others, of validating their existence could be the most important thing we’re ever called to do. After all, to be known is to be LOVED. Isn’t that worth the risk?